Three destinations to the north provide tranquil alternatives to the city’s spirited ambiance. Miami Beach is the quintessential grownup getaway, renowned for its outré style, international flavor and naughty beach vibe. North of Miami Beach proper, there are several tiny beach communities that are perfect for families, couples wanting a restful weekender or Boomers who can’t be bothered with traffic and grime. Most of the visitors who frequent these neighborhoods actually own condominiums here and have wintered or weekended in the area for decades. These communities are relaxed and child-friendly—and an easy straight shot from the hectic glamour of Miami Beach. And with new luxury hotel offerings in three neighboring communities, newcomers are welcome. Set between Miami and Fort Lauderdale, Hollywood is what Wynwood might be, if Wynwood had not been overtaken by international art speculators and fashion Instagrammers. The downtown business district is full of interesting restaurants, enticing cafébars and funky boutiques. It’s a place that welcomes poets, entrepreneurs and artists as well as tourists. If your clients have older kids, steer them to Hollywood. There’s plenty of entertainment, but minus the crowds—and without parking or rideshare drama, thanks to trolleys that connect the beach hotel zone with the downtown area. 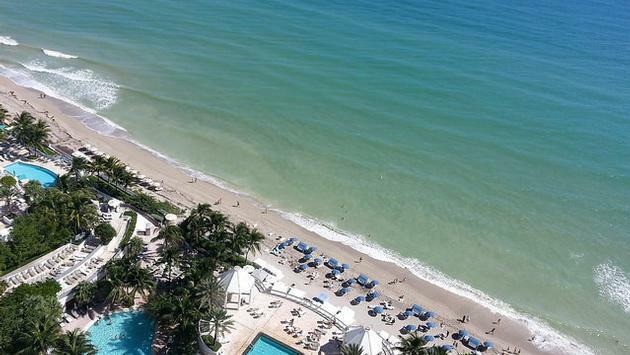 Occupying both sides of Collins Avenue, the Diplomat Beach Resort is the most impressive of the city’s hotels—as big as any other two properties and gleaming with contemporary polish after a $100 million makeover. The ocean-facing side is where to put leisure guests. That's where they’ll find Geoffrey Zakarian’s Point Royal restaurant, steakhouse Diplomat Prime and an atrium lounge with a front wall constructed of glass. Outside, there are two pools with colorful cabanas, kiddie slides and the Atlantic beyond. While recent branding styles Surfside as an “emerging destination,” in truth it’s had a loyal following for decades. The three-block downtown retail strip is sweet and sleepy, mainly occupied by boutiques, upscale-casual restaurants and a disproportionately high number of real estate offices. The latter serves the scores of high-rise condos that line Collins Avenue to the north and south. Surfside’s beach is usually busy with families on weekends but never packed. The opening of the Four Seasons Hotel at the Surf Club harkens back to a glamorous chapter of Surfside’s history. It was once a private club frequented by international glitterati, including Winston Churchill. The lobby’s high ceilings are original, and the floors faithfully replicated. The social hub of the reincarnated Surf Club is Le Sirenuse Miami, serving fine Italian Mediterranean cuisine. It occupies the former ballroom, with the Champagne Bar in the front of the restaurant in the adjoining main room. A long outdoor terrace faces the beach. The hotel itself is in a newly constructed building. Cabana Row also was built anew and still feels like it’s in a soft opening phase. Three pools are open, but the Cabana Pool is not scheduled for completion until 2018. Nonetheless, for wealthy mature clients who dislike noise and appreciate historical relevance, this hotel is sure to please. If you picture funky little inns and quiet streets, you’re in for a reality shock driving into Sunny Isles. This town is characterized by its towering luxury high-rises, but it has only seen such development for a short while. The town of Sunny Isles is celebrating its 20th birthday this year, and in its early days, it was a retro motel strip. The stunning sugar-sand stretch of beach is what drew the luxury developers and buyers who could afford million-dollar minimums for vacation condos they might stay in only a few weeks every year. Yet, the beach is still a tiny slice of paradise with the cleanest white sand and calmest turquoise water you’ll ever see. 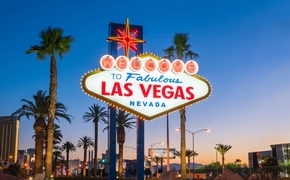 On the city side of Collins Avenue, several casual, budget-friendly bars and restaurants occupy the strip malls, drawing a boisterous mix of locals and vacationers. Under the new management of Noble House Hotels, Solé on the Ocean strikes just the right balance between luxurious and welcoming. The lobby and foyer are chic yet unfussy, with clean lines and a light color palette. The Fresh American Bistro feels a bit more Hamptons than Miami. And this is no coincidence: The property owners have another hotel in Montauk, New York. Rooms start on the 6th floor, which helps solve the eternal room-booking challenge of avoiding noise from the street. Every room has a balcony, and every suite has a kitchen (more for snacking and refreshments than for cooking). These accommodations are great for families—and even Fido (up to 50 pounds). While the new management has yet to update certain things (i.e. resurfacing the pool deck and replacing the gloomy hall lighting), the hotel in its current state is Sunny Isles’ least pretentious luxury tower. A version of this article appears in print in the November 2017 issue of Agent@Home Magazine.